flexi cart, the customisable toolkit for building e-commerce shopping carts. 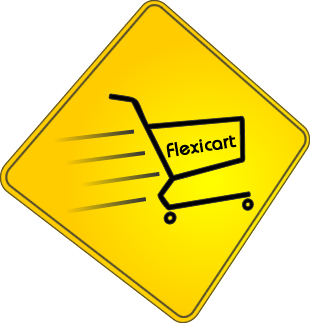 flexi cart 1.1 has been released including new language files, library message functionality and ajax demos. flexi cart is a free open source shopping cart library for use with the CodeIgniter 2.0+ framework. It is designed with modularised features that can be mixed and matched, turned on or off, and can be customised to suit your requirements. What is flexi cart not? flexi cart is not an all-in-one out-of-the-box e-commerce solution. All-in-one solutions can be good, but unless you are familiar on their inner workings, they can be tricky to customise to specific requirements. flexi cart does not provide the store for you, it simply provides you with the tools to wire the site how you require. The best place to start for help is by having look through the the in depth user guide, which contains an installation guide and detailed information on each function that is available from the flexi cart libraries. If there is a feature available in flexi cart that you wish to implement on your site, then there is most likely a working demo example of how to implement the feature. Have a browse through the demo and see if there is a example of what you are trying to achieve. If you find an example of what you're after, then open up the downloadable demo files and have a look at the underlying code.